Posted in Help and Tips, Web Design, Web Marketing by Zach | Comments Off on Does My Business Need a Website? I saw someone on Twitter ask if anyone had a good checklist for building a website. I wondered if they were talking about a checklist to look at before a designer gets involved, or if this include looking for a designer. If the list were to include looking a designer, I’d have to write it to be shamelessly self-promoting. (Do they build the site in a CMS at no extra charge? Do they offer any free updates? Do they give you a free search engine ranking report?) In light of that, let’s assume you’ve decided you want to build a website, but are not at the point of hiring a designer yet. A lot of people skip the part in-between, but the more fleshed-out your site is before you talk to a designer, the easier that talk will go and the faster the designer will be able to come up with a quote for you. Having a clear vision for your website will also keep you from adding to the project as you go, sparing the designer a headache and saving you some money. So, here’s a checklist for building your website. Maybe it’s not a checklist, per se, but this could serve as a guideline for things you should know about your website before you seek out a designer. What is the goal or purpose of my website? Are you selling something? Are you trying to generate leads? Are you giving information? What do you need to do to draw attention to that purpose? Knowing the answer to these questions will help you strategize the layout, graphics and typography of your website with your web designer. If the purpose of your website is to sell Medicare supplements, you’ll want to capture the attention of people around the age of 65 and above. You’ll want the writing to be easy to read, maybe a little larger than usual. You probably wouldn’t want the design to be too slick and techie. On the other hand, if your website is geared towards gamers, you probably want more images and slick graphics. Keep your audience in mind when planning your website. What should my website look like? This is a pretty big one. 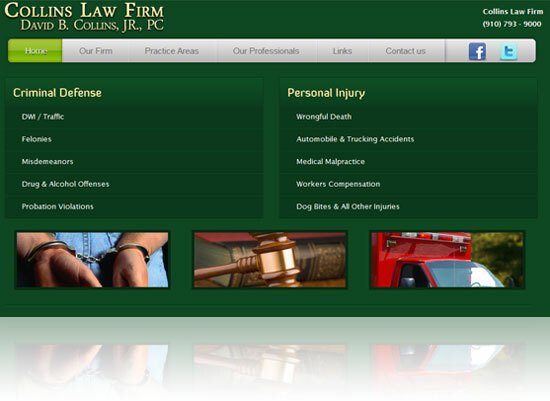 A decent web designer can make a site look like anything. Some people are fine giving a designer complete freedom to design a website however they want, but hopefully you have some idea as to how your site should look. It will save your designer time, even if you look at other websites and pull elements you like from them, if you’re able to give at least a few guidelines. If you already have a logo, business cards or some kind of branding, make sure to incorporate that. Do I need my website to be found? You’d think the obvious answer would be the affirmative, but not every site needs to be ranked #1 in search engines to be useful. I refer to these sites as business card websites. Some people just need a portfolio, resume or supplemental information to be available when they point people to the site. Most sites, though, do need to be found. If you offer a service or sell goods, you need to make sure to set aside a good budget for search engine optimization and/or pay-per-click ads, and you need to plan your website accordingly. Does my website require any special features? Would it be useful to my visitors to allow them to create an account for my website? If you have a movie theater website, it would be useful to have a database to add movies and their showtimes. For a real estate agent, it would be great to be able to have a database for real estate listings on your website so you won’t have to manually create new pages and links for every listing. If you need a special feature on your website, think it through in as much detail as you can. Simply telling your web designer that you need a client login doesn’t really tell them anything. What information is required to create an account? How do they retrieve a lost password? What happens when they log in? Think through what you need and how it should work. The point in all this is that the more fully realized your website is before you even contact a web designer, the easier the entire process will be. You don’t need to write out an entire RFP (although we do love those), but you should know something about your creation. Many people dream about having a great website, so get it started on the right foot by laying the groundwork for success. 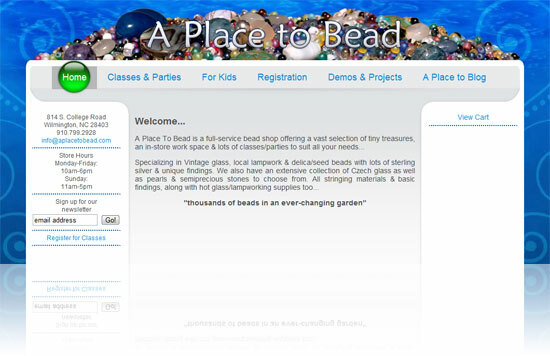 After completing the working demo site, we spent a couple hours with A Place to Bead’s owner, Sabrina Baggett, along with the store manager to show them how to use all the site’s new features. A little over a month ago I wrote about how I had used the automatic upgrade to take my personal blog from WordPress 2.9.2 to WordPress 3.0. At the time I ran into some trouble and suggested that people not do it if they didn’t know how to do the manual upgrade. Well, I just updated this blog from WordPress 2.9.2 to WordPress 3.0 with absolutely no trouble at all so I’d say it seems to be good to go. I just now finished installing the WPtouch iPhone Theme plugin for this blog. I highly recommend this now that so many mobile devices are being used for social and even business blogging. I created a custom icon that will be used when bookmarking. It creates a really nice icon for the home screen that with one click will open this blog. Impulse Web Solutions and Venue Communications, Wilmington NC web design companies, are teaming up once again, this time to design a new website for the Myrtle Beach Golf Experience. The original website was hastily thrown together and added on to as necessary. The new website will feature a fresh design and focus on informing visitors about golf courses, hotels, resorts, dining and other things to do when visiting Myrtle Beach, SC. The content of the newly designed Myrtle Beach Golf Experience website will be driven by Venuecom’s content management system and news feed plugin, giving the site owners freedom to update pages and articles on the site without having to go through their webmasters.